Daniel Neumann | CLOSE ENOUGH. OUT OF REACH. CLOSE ENOUGH. OUT OF REACH. 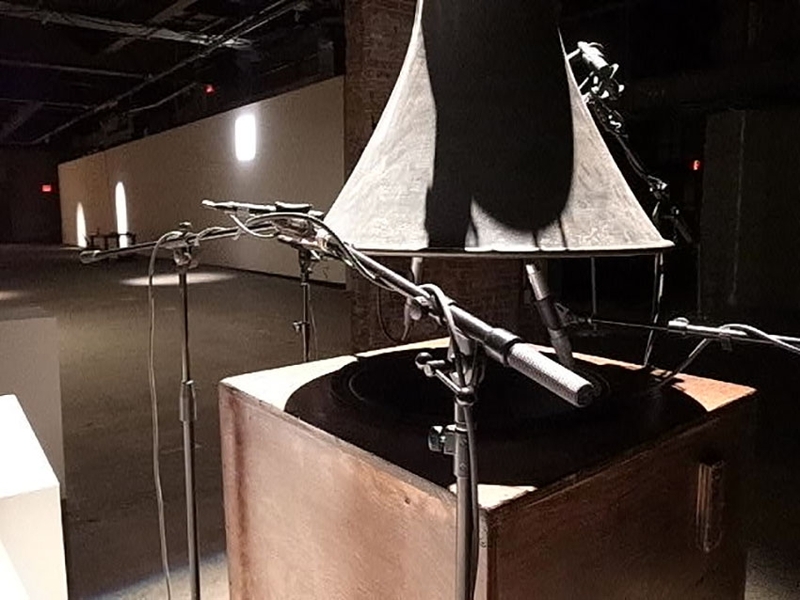 On view at Eyebeam as part of the Annual Showcase. 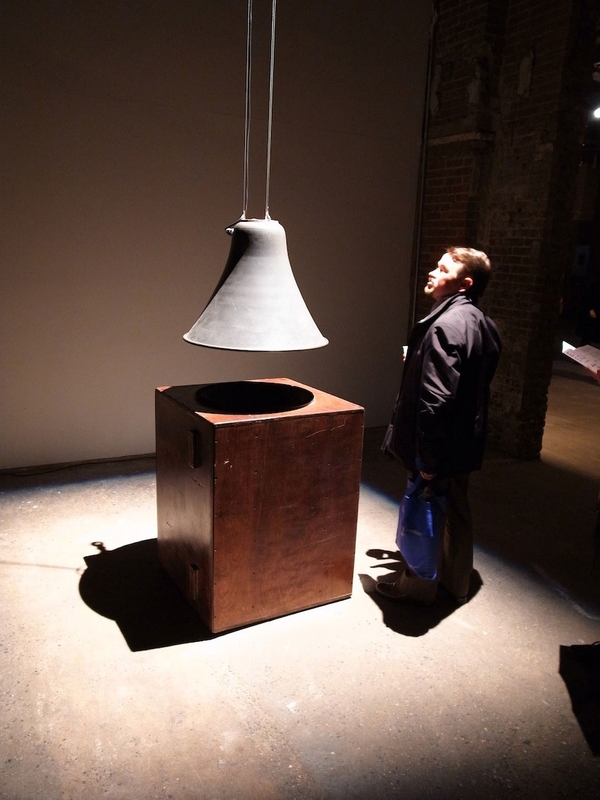 A sculpture to articulate the internal resonance of the sound projection object. The projector turned inwards, aided by a transducer. 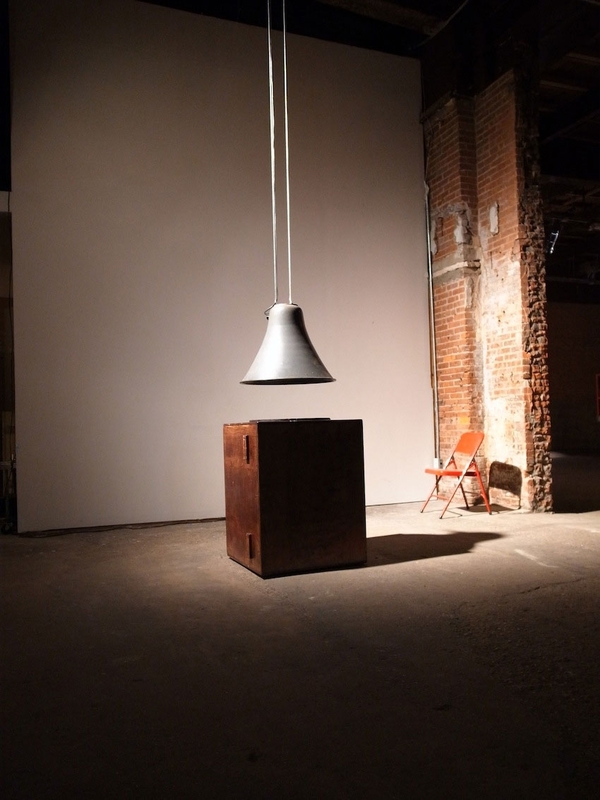 The fundamental of the resonant frequency of the object is provided by the subwoofer underneath.